When Myanmar's new Labour Organisation Law was promulgated in October 2011 it brought to an end a period of nearly 50 years during which independent workers' organisations had been effectively prohibited. Amidst the more open political climate of reform-era Myanmar, labour-related organisations and workers' unions have proliferated. 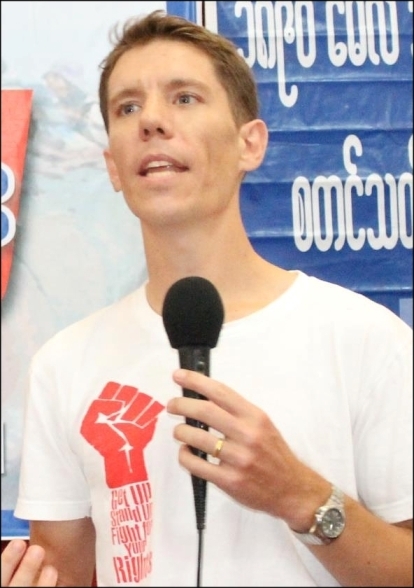 The result is that some 500 organisations took part in the recent ILO-organised Labour Organisations Conference held in Yangon from 30 April to 1 May 2013. Some 88 Generation [Students] members and labour delegates said they doubted whether all of the participants were from registered labour organisations, suggesting some may have been planted to affect the outcome of the vote for a Myanmar delegate to send to the International Labour Conference in Geneva, Switzerland in June. A Radio Free Asia video from the first day of the conference gives further details. In it, U Maung Maung, General Secretary of the Federation of Trade Unions of Burma (FTUB; recently renamed FTUM), states angrily that he will not take part in a conference that “has no rules” and, further, that the individuals and organisations which accompanied him to the conference are genuine workers and workers' organisations. U Maung Maung then exits the conference hall with a contingent of his supporters. After U Maung Maung leaves, members of some remaining labour organisations go on to explain that FTUM and the organisations it brought along “have no position” in Myanmar. What apparently took place (I was not in attendance) was that some conference participants suggested that FTUM had paid to bring in people who were not from established workers' organisations; the aim being to secure the election of an FTUM member as Myanmar delegate to the upcoming ILO conference in June. Despite these critiques, U Maung Maung and the FTUM have strong backing from large international labour organisations like the ITUC and the AFL-CIO. Indeed, the FTUM remains the primary local partner through which these organisations engage with Myanmar's labour movement. The ITUC, for example, of which the FTUM is an affiliate, has described U Maung Maung as “the leader of the country’s trade union movement”. Likewise, the AFL-CIO writes praisingly that “U Maung Maung spent the last 24 years nurturing the Burmese labor movement from his exile in Thailand”. the FTUB (FTUM) pursues a more traditional, hierarchical approach to trade unionism's role in a democratic society based on the principles of tripartism, the presence of sector-specific unions, and the role of the state as mediator in capital-labour relations... [an approach] that discourages political or social movement unionism in favour of cooperative economic arrangements between capital and labour. Worker unions are needed now more than ever. And also owners need to be smarter. They need to understand that worker unions are not there to oppose the owners. They are just a group that will negotiate to solve the problems between the owners and workers. And us activists will help them to get a better future. Problems between workers and owners are like fights between family members. Regardless of how the family members are discordant, they have to meet each other. Owners and workers are the same too. Owners can’t run their business without workers and workers can’t live without owners. Against this backdrop of competing organisations seeking to shape the future of Myanmar's labour movement, workers in the country have taken it upon themselves to pursue a more confrontational approach. This was most dramatically seen in the wave of strikes that developed in the first half of last year. During May and June 2012, workers at a reported 90 factories in the Yangon area went on strike. In May 2012 alone, a reported “36,810 workers from 57 factories staged strikes asking for better wages and working conditions”. Among the actions taken at this time, workers at the Hi-Mo wig factory occupied their workplace, barricaded management in the factory office and shouted down a government official sent to deal with the strike. Elsewhere, twenty-five steel workers in Hmawbi went on hunger strike over their demands for a wage increase. In countries where unions have long been institutionalised, this divergence between the confrontational approaches of workers and the conservative approaches of trade union officials has fuelled efforts to democratise stagnant unions “from below” or to build alternative, rank-and-file movements that bypass existing union structures altogether. In Myanmar, by contrast, the hundreds of new unions that have emerged over the past year remain mostly small, enterprise-level associations. They have yet to develop a bureaucratic stratum of full-time officials claiming to represent workers' interests. As such, Myanmar workers are in a position of relative freedom to set for themselves the direction of their country's labour movement. 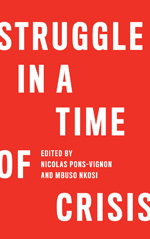 This situation may not last, however, if these workers' associations become subsumed by individuals or organisations seeking a mediating role between labour and capital. Much depends, therefore, on the extent to which Myanmar workers are able to keep their new unions thoroughly rank-and-file controlled, with decision-making power firmly in the hands of the union membership. Stephen Campbell is a PhD student in the Department of Anthropology, University of Toronto. His current research is focused on precarious labour and worker organising among Myanmar migrants in Thailand. Trade unions should remain under rank-and-file control but fragmentation into a multiplicity of enterprise-based unions îs not the answer. Decentralization is not synonymous with democratization.What workers in Myanmar (as in other countries) need, are strong national democratic unions, controlled by their membership. Such unions will of necessity need an administration, if you wish a "bureaucracy". This is indispensable for the effîcient functioning of any organization, and it is not incompatible with democratic control. Your work on migrant Burmese workers in Thailand has been commendable. Unfortunately as the cliché goes, Burma is a land like no others. And surely you would have found out by now that if there are two Burmese, there will be three groups at each other's throat all the time. So this report is indeed business as usual as far as Burmese are concerned, again unfortunately. Naturally fractious and prone to suspicions, for which occasional violent reactions erupt as seen around the country now, and not hesitant of underhanded methods a workers’ union as desired by the "west" is a sure no go. Then again there is this problem of desirability at all of the "west's" type trade union as the 88's and others of "enlightened" (engagement -capitulation) attitude. As you see the Burmese government of changed clothes universally intensely propped up is intensively recruiting and training the police force to double the number along with 'new" business rules by power of the Big Four accounting firms (already in the country with no companies but the international loan agencies and any independent landing agencies would need them to be paid exorbitant amount of money by the people of the country who have not a clue what is going on) and that "Rule of Law" which is the sort of law to protect Monsanto like behemoths and various patent holders (who do run today's world). And if there is truly well regarded and honest broker for the masses of current and soon to be exploding number of factory workers in keenly expected sweatshops (why do we need them- sweatshops?- One answer is most people owning land now are in places the global companies have their eyes for. So they will simply be pushed out with the use of aforementioned "Police" in modern international standard eviction methods and packed off to those factories, some by way of exorbitant loans and farm produce price manipulation. ), that person would easily be bought off or compromised as usual as seen in KNU style. Anyhow you personally are in exciting time. I hope I haven't given the impression that I'm arguing small is necessarily better for unions. I thoroughly support the efforts of Myanmar workers who are seeking to expand and connect their unions. However, it seems to me that there are at present two approaches to expanding unionisation in Myanmar. One (exemplified by FTUM), which can be characterised as "top-down", and another, which can be characterised as "bottom-up". On the latter approach, see my interview with Myanmar labour activist Su Su Nway (http://asiapacific.anu.edu.au/newmandala/2013/02/11/interview-with-myanmar-labour-activist-su-su-nway/), who argues for building up a Myanmar union federation democratically "from the base". And Ohn, I appreciate you supportive comment about my work with migrants in Thailand. I disagree, however, with what appears to be a culturalist argument you're making that these organisational conflicts I've described are due to Burmese people being "naturally fractitious and prone to suspicions". It seems to me that these types of conflicts are about differing approaches to labour organising, which are common to many countries, not just Myanmar. What makes Maung Maung's and the FTUM's approach "top down"? Nothing in your article substantiates this assertion, other than a quote from Dennis Arnold, which is also no more than an assertion. Since when are sector-specific unions, as such, "top down"? And, while I am not enamoured of tripartite structures and of the State being a mediator between labour and capital, one needs to recognize that radical, democratic unions have been parties to such arrangements without losing their soul. As for Su Su Nway's statements in your interview, they are hardly a manifesto of "bottom-up" union organizing. She has herself helped workers organize unions, which is fine, but basically not different from what thousands of union organizers do all over the world around the clock. Some got killed for it, she is lucky, Myanmar is reaching for respectability. She tells you that her party, the NLD, has had a labour structure for years, that U Tin Oo is currently the senior leader of that structure and that, as such, he should represent Burmese workers at the ILO. Who elected him? She also tells you that she cannot conceive of the as yet virtual "All Myanmar Federation of Workers’ Unions" to emerge without the involvement and support of the Ministry of Labour, hardly a declaration of independence from government. I am saying this because I fought for it in the early 1990s in the belly of the beast, the ICFTU Executive Board, and finally got them to agree that Burma was an importqnt issue. Anyone who has been an exile for much of his life understands the importance of such support. Finally, the issue in Burma, as everywhere else, will boil down to the issue of power. Who do you think understands the issue of power, from the workers' point of view, in Myanmar today? Who stands for the independent organization of workers into class-based organizations? If not the FTUM, then who? Perhaps I'm reading too much into Su Su Nway's comments, in which case I'll hold off on more presumptions about her organising work. And I recognise the significant international advocacy role Maung Maung has played over the years. My observations of FTUM's organisational approach, however, were not based solely on Dennis Arnold's description of FTUB/M as "top-down", but also on the comments and actions of the other unions and ex-FTUB members cited above, and on the fact that Maung Maung has been general secretary of this union federation for some 22 years, a fact which doesn't suggest a high level of internal democracy. But I've got an open mind, and I'd be very happy to see FTUM prove me wrong as it becomes more involved in organising work inside the country.